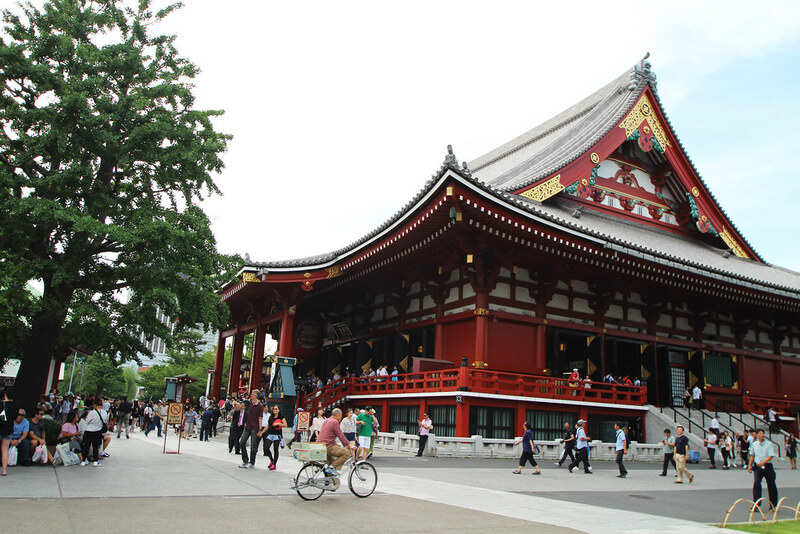 Arguably one of the biggest temples in Tokyo, Sensōji Temple is located in Asakusa. It's one of Tokyo's most colourful and popular temples, be sure to go early to get the best photographs and views before all the crowds appear. The temple was completed in 645 (yes really!) making it Tokyo's oldest temple. Built in respect for the goddess of Kannon, the temple's grounds are really quite beautiful. Enter through the Kaminarimon, the thunder gate, which is the outer gate of the Sensōji temple. 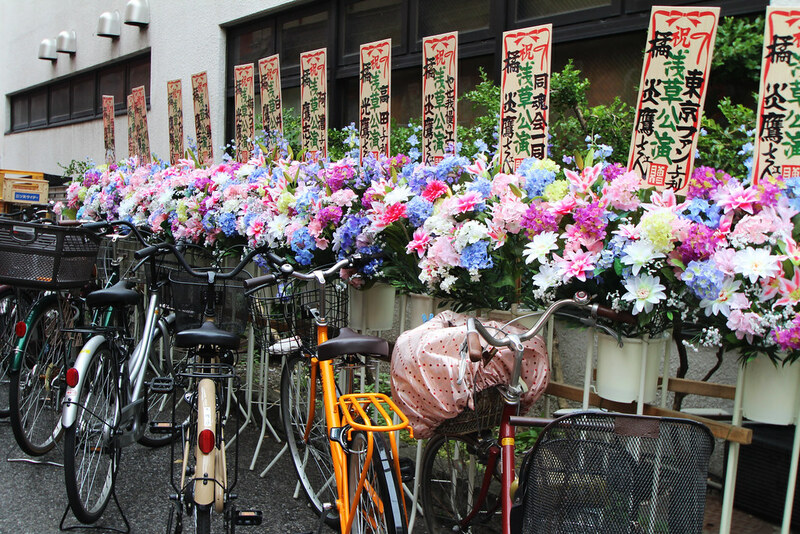 It's also the symbol of Asakusa and the entire city of Tokyo. 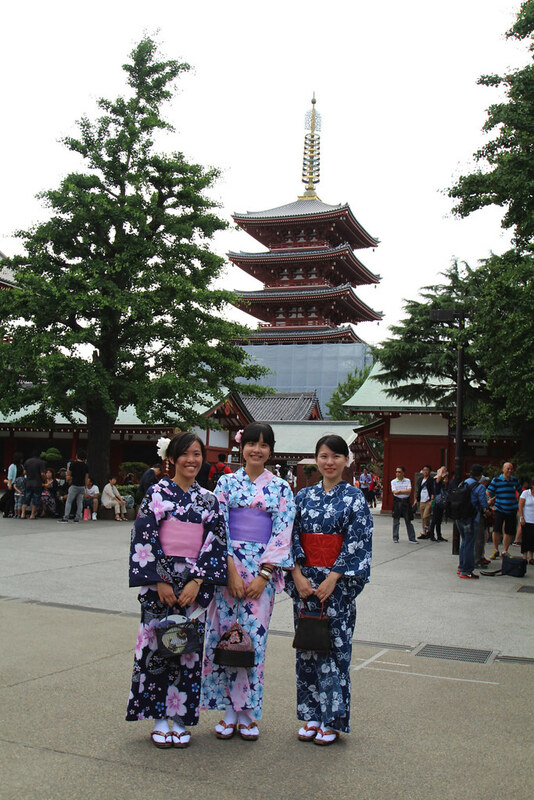 The temple's main hall is a five storied pagoda, and definitely not hard to miss. Unfortunately a lot of it was destroyed in the war so what you see standing today are relatively new recreations. 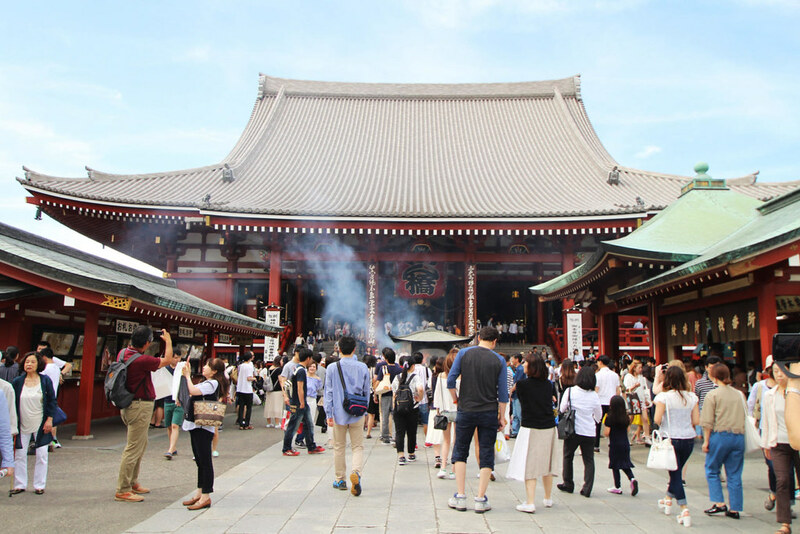 Throughout the year lots of events are held at the Sensōji temple, including the festival of the Asakusa Shrine. The temple is free and the grounds are always open, however the main hall is only open from 6am to 5pm daily. We were staying in Shinjuku, which was very nice and central for getting to most places. I've covered more on Shinjuku and where to stay - here. You can take the orange JR Chuo Line to Kanda Station then transfer onto the Ginza subway line for Asakusa. The temple is a short walk from the final station. From Tokyo Staton you can take the JR Yamanote Line to Kanda station, then transfer to Ginza for Asakusa also. Be aware that the underground is owned by two companies, so your ticket for one line might not be valid for the other. Especially worth keeping in mind when you are in a rush to get somewhere! It is suggested you pay a donation towards receiving your fortune. As this is quite a main tourist attraction, there are instructions in English. But should you be confused, it's worth watching what the locals do. 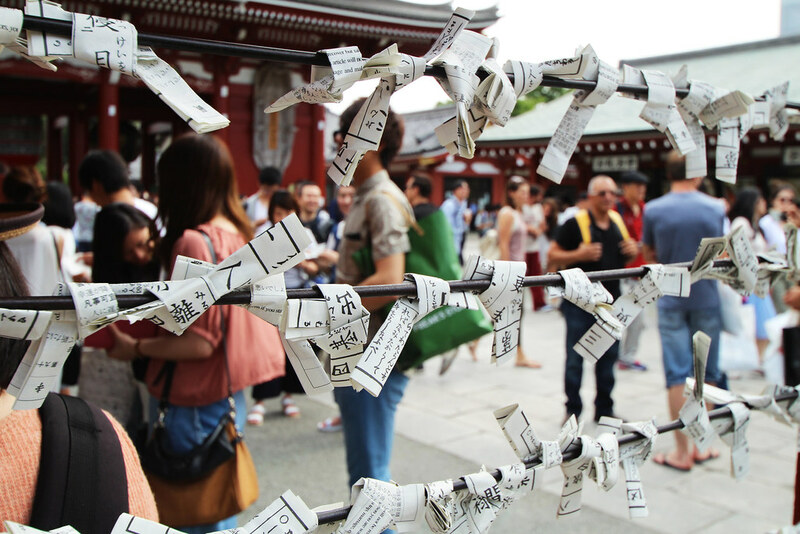 Omikuji is a type of fortune-telling that’s prevalent at Buddhist temples and Shinto shrines across Japan. Almost all temples will have a fortune booth, some small and some large. They are usually located just within or to the sides of the entrance. There are different ways to receive your fortune, but at the Sensōji temple you are required to shake a hexagonal metal box, until stick pokes out. This stick will have a number on the end, which corresponds with a matching drawer. Here you will find your fortune inside. 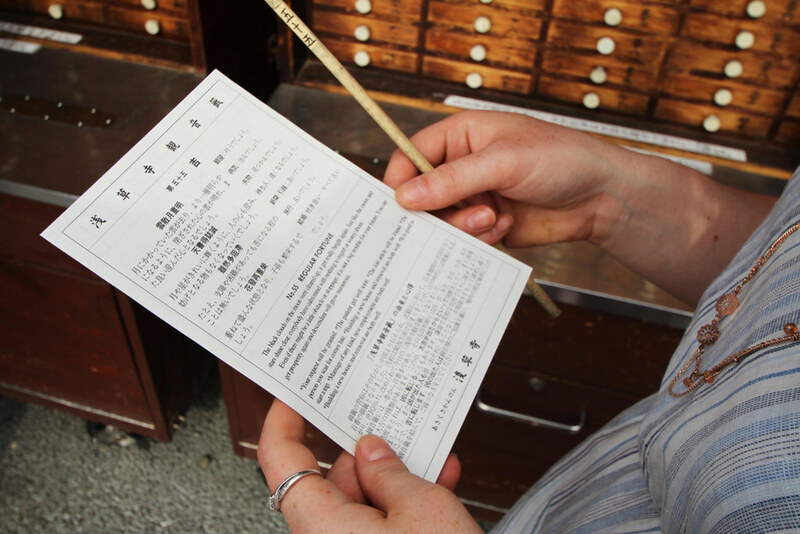 The Sensōji temple offers fortune translations in English, but you might not always be so lucky! Should your fortune not be in your favour, fold the strip up and tie it to the nearby wall of wires. Here someone comes and removes the paper, releasing you from your bad fortunes. Surrounding the temples you'll find streets lined with small shops. 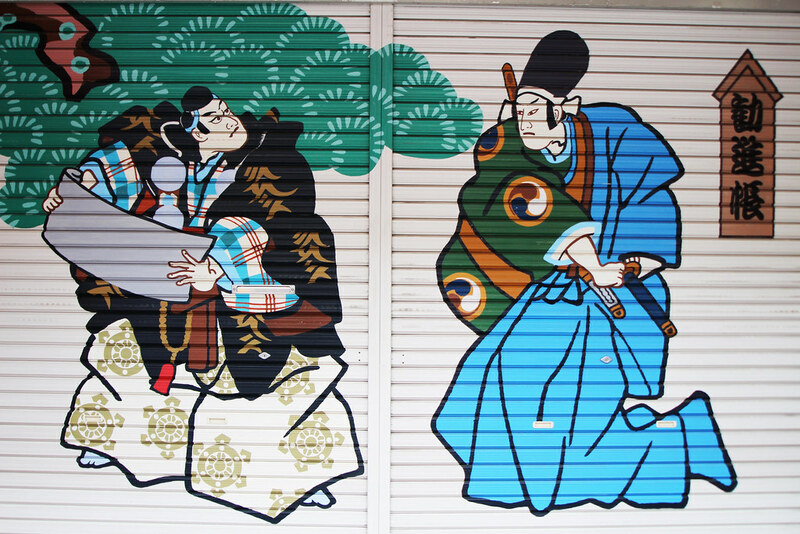 Selling both typical Japanese souvenirs, such as yukata and folding fans, you'll also find traditional local snacks. This area gets very busy, very quickly, so be aware of the crowds! Step down the side streets to find beautiful painted shop fronts, and really immerse yourself. We also tried out some slightly questionable coloured chocolate dipped bananas there, everything is wonderfully colourful. Don't be afraid to experiment with food, the street food and stalls around here were generally quite affordable. You can see other Tokyo tips and travel experiences on my blog - here.